Do you like to do things last minute? No problem. We like spontaneous people! Book an available room (Sun-Thu) within 48 hours of arrival … and we will give you 10% off of your one night stay. Want to stay two nights? Great! We’ll give you 15% off (Sun-Thu). Just remember to book no more than 2 days ahead of your arrival. Must mention “Spontaneous Traveler” when booking your stay. New reservations only. Gift certificates may not be used with specials. Book a 2-night (Sun-Thu) stay at Elk Cove Inn & Spa through May 23rd and pay full price the first night and get the 2nd NIGHT HALF OFF. 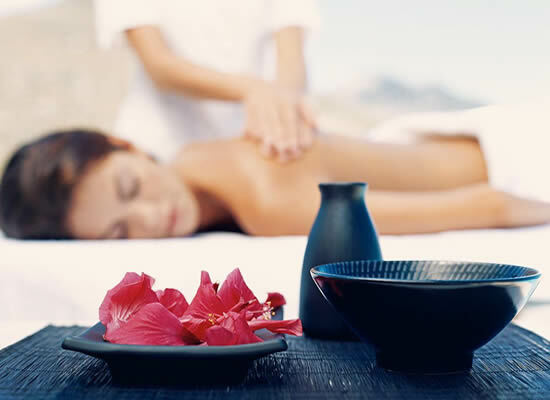 Bonus Spa Special – $50 off couples tandem massage. + Free bountiful champagne breakfast buffet each morning. + Happy “2 hour” each afternoon with complimentary “make your own” cocktails, wine and snacks. + A welcoming gift basket with our homemade cookies, fruit and a split of Husch wine. + Ocean rooms have dramatic Pacific views. + All rooms offer free wifi, silky soft bathrobes, private bath, most have TV, microwave, Keurig coffee machine and refrigerator. + Take advantage of our European day spa with a nice discount. 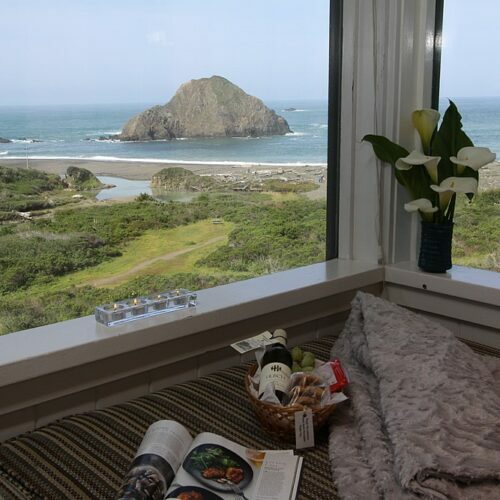 + Close to 35 wineries, redwoods, lighthouse, Stornetta Public lands or spend your day at the inn “doing nothing”! * Call to book: 1-800-275-2967 or book online. * Offer does not include weekends or holiday weeks. * Must mention at time of reservation. * Cannot be combined with other specials or discount. * Must book and stay prior to May 23, 2019. To introduce newcomers to the treasure and magic that are the Elk Cove Inn & Spa, we’re offering first-time visitors a complimentary, 1 or 2 -price point room upgrade based on space available at check-in. Plus a $100 Coupon toward a future visit when you book 2 nights or more in any ocean view rooms. Coupon will be valid for one year and will be transferable. Relax and reconnect as you save! Indulge in a Couples Renewal treatment at our intimate Day Spa. A 1 1/2 hour session that includes a tandem massage, a private aromatherapy steam shower and sauna. All this comes with two nights deluxe lodging accommodations. Cannot be combined with other specials and does not apply to weekends or holiday periods. 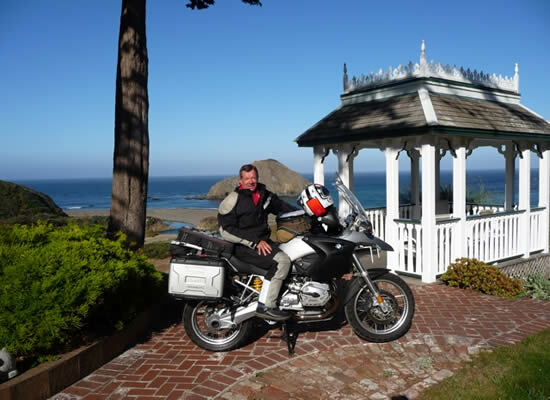 Planning a 2-wheeled trip down the magnificent Pacific Coast Highway? The Elk Cove Inn & Spa has a deal for you. We know it is hard to plan ahead just how far you travel each day. That works great for us. Call in the morning or just stop in and ask what is available. 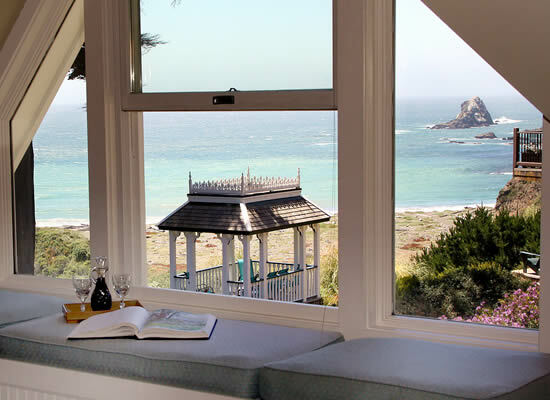 You will receive 15% off garden view room rate and 25% off ocean view room rate weekdays – 15% on Saturdays. Included are a gourmet champagne breakfast, complimentary afternoon wine and “make your own” cocktails with appetizers and a welcome basket of wine, homemade cookies and fruit. Our ocean front inn has easy access to the beach and plenty of safe off road parking.